Jerónimos is the masterpiece of the Manueline style, the Portuguese twist to late Gothic. 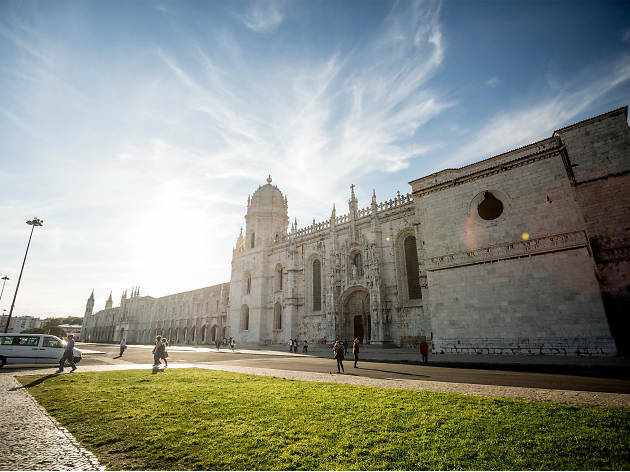 Construction of the church and cloisters for the Hieronymite religious order began in 1502 on the orders of Dom Manuel I, in thanks for the divine favour bestowed through the Discoveries and to commemorate Portugal's maritime prowess. The site had previously housed a chapel dedicated 50 years earlier by Prince Henry the Navigator. The west-facing entrance to the church is obscured by a 19th-century extension that now houses the Museu Nacional de Arqueologia, but the sculptural relief of the south lateral entrance still captivates. The hierarchic pile of stonework saints is topped by the image of St Mary of Bethlehem (Belém), patron saint of the church and monastery. Immediately inside the church are the tombs of Vasco da Gama and Luís de Camões. 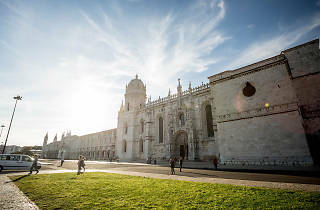 Jerónimos is famed for the quality of light that sweeps into the nave during the day: a visit during a choir performance is enough to make the wicked long for redemption. The exquisite cloisters, designed by master architect Diogo de Boytac and completed by João de Castilho, are often the setting for concerts and other events. Boytac is also thought to have overseen the construction in 1514 of a pretty hermitage uphill, the Capela de São Jerónimo (guided visits, Wed only, can be booked at the monastery). Quite possibly one of the most stunning tourist attractions I've visited. The architecture of this place was amazing and so well kept! The monastery has huge grounds, so it could take you a while to see it all - perhaps set aside two hours to really make your way through it all and to stop to appreciate the history, culture, and design of the place. I liked that it had a blend of interior and exterior areas to explore, both making for breathtaking pictures. The lighting is obviously a lot nicer outside and also stunning to see the perspective of outside to in. This was my second time visiting the Monastery and it still stuns!